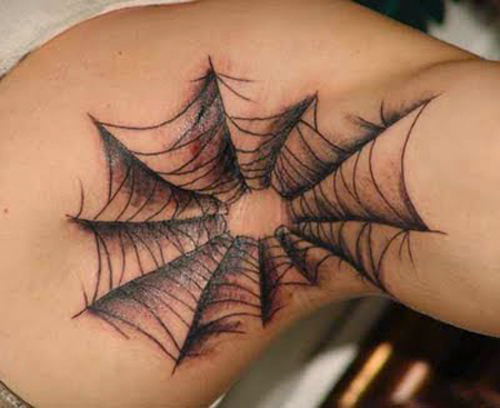 Spider web tattoos are really cool. 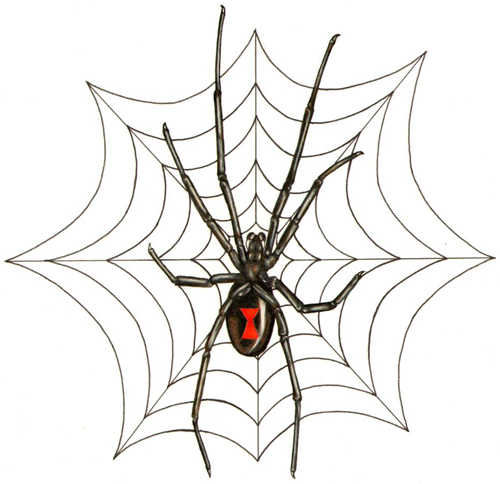 On the one hand, they exude an element of danger. 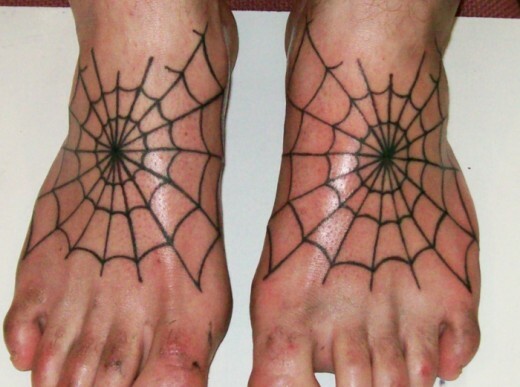 On the other hand, they can be made to look really elegant and beautiful at the same time. 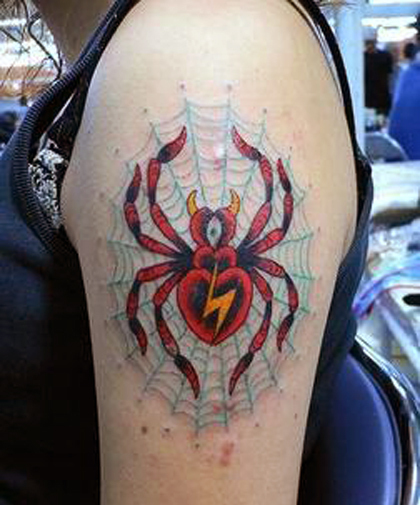 However, I think the spidermen’s spider web tattoo design is the most popular designs among the all. 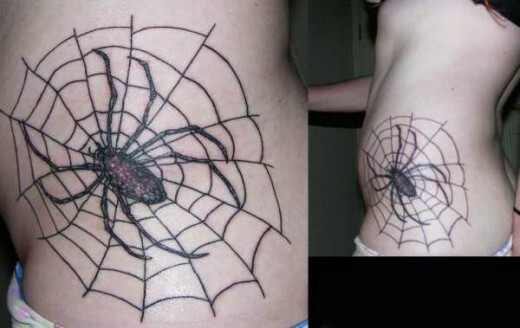 It’s might be he effectsof the popular movie of spidermen. 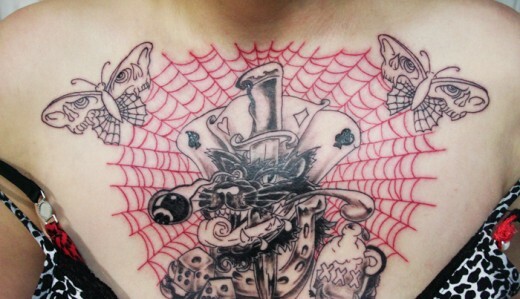 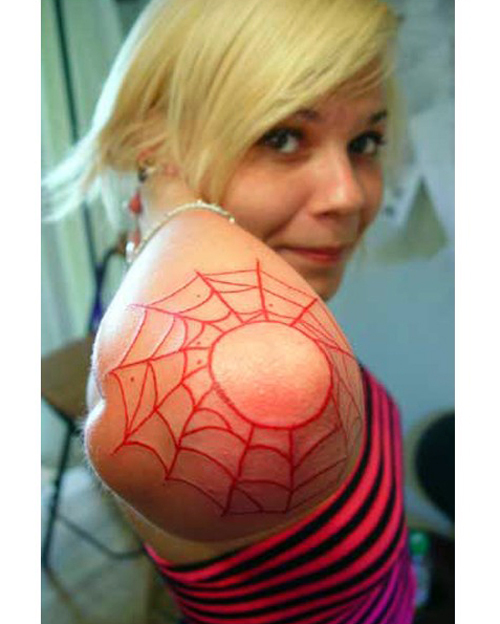 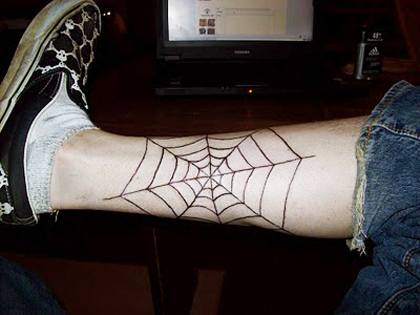 There are various kind of spider web tattoo designs that you can choose from. 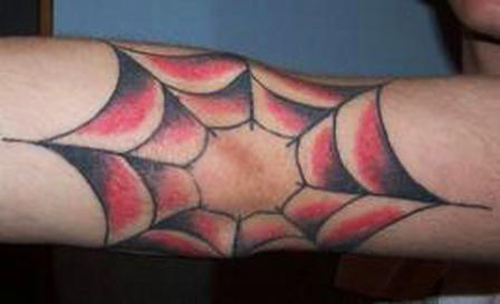 Such as red spider web, black spider web, tribal spider web, spidermen’s spider web and etc. 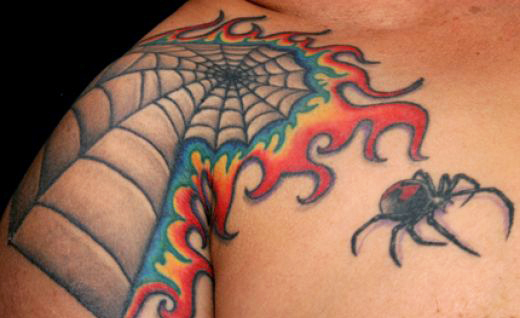 Anyway, here are some cool spider web tattoos that are placed in number of positions on the body as standalone art, or with their arachnid creator as part of the scene. 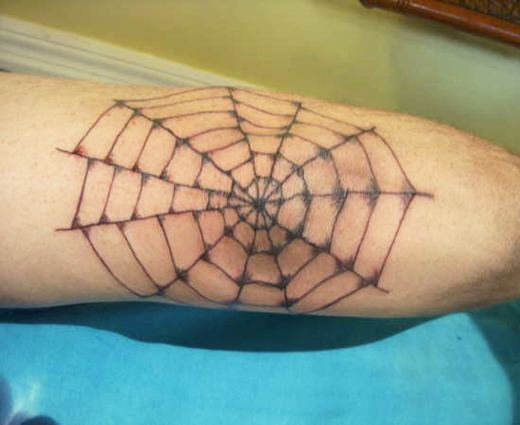 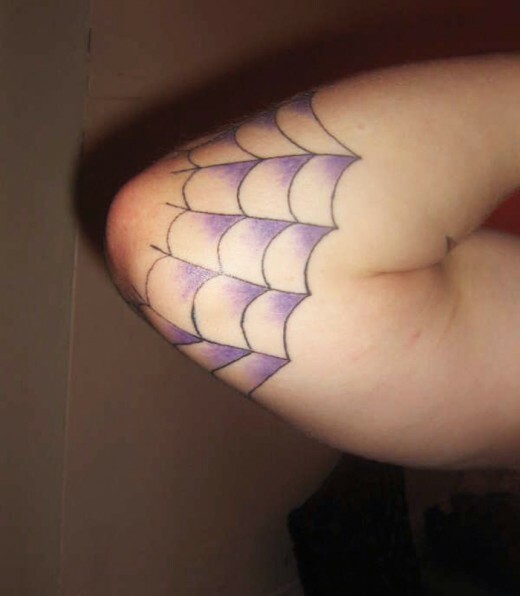 Spider web tattoos are a challenging art form, but when you do them right, as you can see above, they look extraordinary, and are really enjoyable to look at.